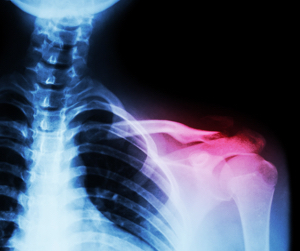 Fracture of the clavicle is one of the most common fractures seen in sporting activities. It is usually caused by either a fall onto the point of the shoulder, for example by direct contact with opponents in sports such as rugby. Severe tenderness and swelling over the area of fracture. Pain when moving the shoulder. Crackles (crepitus) felt between bone ends when movement is attempted. 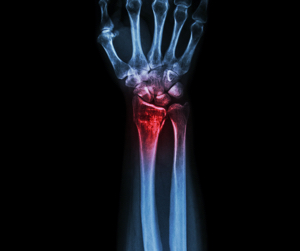 Distal radius (forearm) fractures are very common. As the force required to fracture young adults’ bones is great, players may also have a ligament strain or rupture. Tenderness between the thumb and finger. Athletes are advised to wear a protective splint for two months after the fracture has healed.